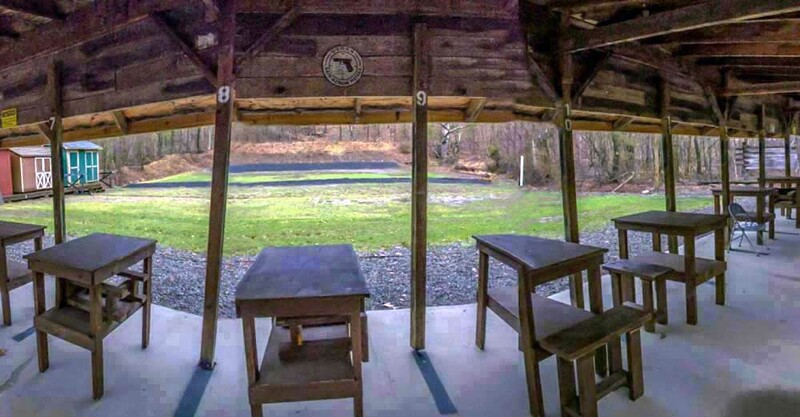 Our outdoor shooting range has 15 shooting points and is 50 yards long. There is steel out at the 50 yard line. 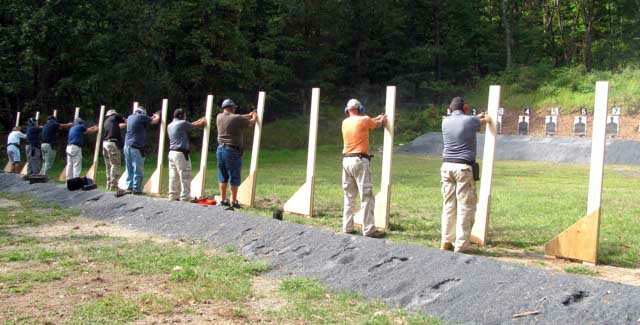 The club maintains a steel plate rack and a dueling tree on the outdoor pistol range for use by members and their guests. Neither the plate rack or dueling tree must be shot at any closer than 10 yards (indicated by a white line painted on the platform holding the storage shacks). 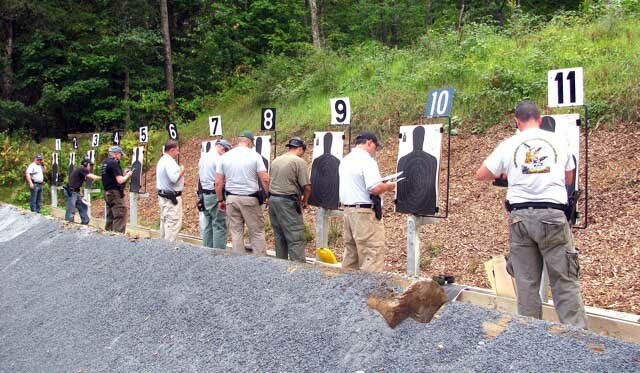 No centerfire magnum ammunition may be used on any steel target at any time. 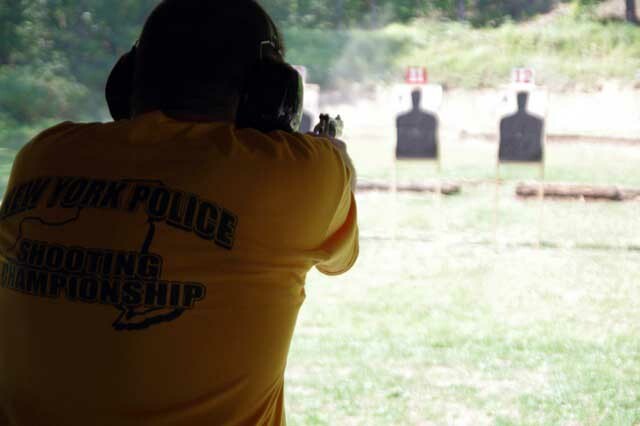 Regarding shotgun ammunition, only lead target loads may be used on the steel plates. No shotgun slugs allowed. Use of steel shot is forbidden, it is especially dangerous, and can come right back at you.